Learn how you can take your live sound to the next level by mixing your shows with the same cutting-edge plugins used in top recording and mixing studios. Bucket View in the CLA MixHub plugin is currently not supported in MultiRack. Compact servers are supported under MultiRack SoundGrid up to version 9.5 only. Mac mini 2014 and up, i7, 8 GB RAM, minimum 256 GB SSD, Windows 10 via Bootcamp. Mac OS El Capitan and later: When multiple GUI actions are performed on MultiRack, memory may gradually become full and the computer might freeze. We advise to restart the computer occasionally to clear the memory cache, or to restart it prior to the show. Microsoft Surface tablets are currently not supported by MultiRack. We are working on ensuring future compatibility. Multi-touch support for Windows 8.1 and up, with touchscreens supporting 10-point touch. Single-touch support for Mac (using compatible drivers). Please note: The DiGiGrid DGS-XL server (not sold by Waves) is not certified or supported for use with MultiRack. Waves plugins and MultiRack Native require activation to hard disk or USB Flash Drive. Plugins (compressors, EQs, delays, etc.) process the audio. Racks, like their hardware equivalents, hold multiple plugin processors. Snapshots are presets which store your plugin and rack settings. Sessions store the settings for all plugins, racks, and snapshots, as well as information about the setup design and signal flow. 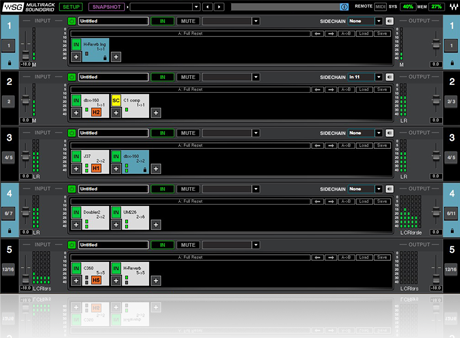 MultiRack Native relies on the power of a host computer to process the audio and uses an ASIO/Core Audio interface to connect to a console. PC or Mac Host Computer – The main brain and controller for the system that runs the MultiRack live plugin host application. Refer to the system requirements page when choosing your computer. Multichannel analog interface to connect to analog consoles. Built-in FireWire/USB interfaces to connect to Behringer X32, PreSonus StudioLive, Midas Venice, Mackie Onyx-i, etc. Waves SoundGrid interfaces to connect to Yamaha, A&H and MADI-enabled consoles. MultiRack Native Application – The host software required to run Waves Native plugins. Plugins – Waves MultiRack Native-compatible plugins for audio processing, hosted by MultiRack Native. USB Flash Drive (optional) – The USB flash-drive key holds the licenses for Waves V9 plugins and provides activated licenses on the go. When using MultiRack, the USB flash drive must be connected to the computer at all times. Check USB Flash Drive compatibility. Alternatively, you can activate the Waves V9 plugins and MultiRack software licenses on your host computer's hard drive through the Waves License Center. Optional MIDI Controller – A MIDI controller can be used to control Plugins in real time, without using the mouse or keyboard. MultiRack SoundGrid uses an external SoundGrid DSP server to achieve low-latency performance and run multiple plugins in real time. 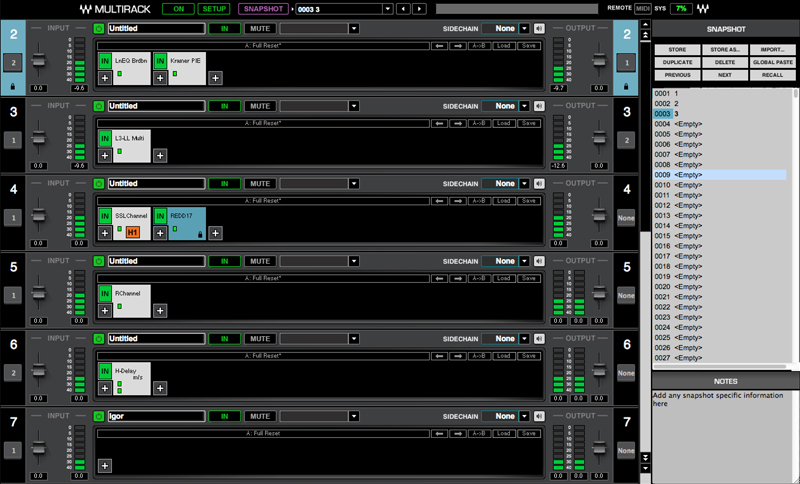 SoundGrid I/O Interface – The SoundGrid I/O interface pipes audio in and out of the console. 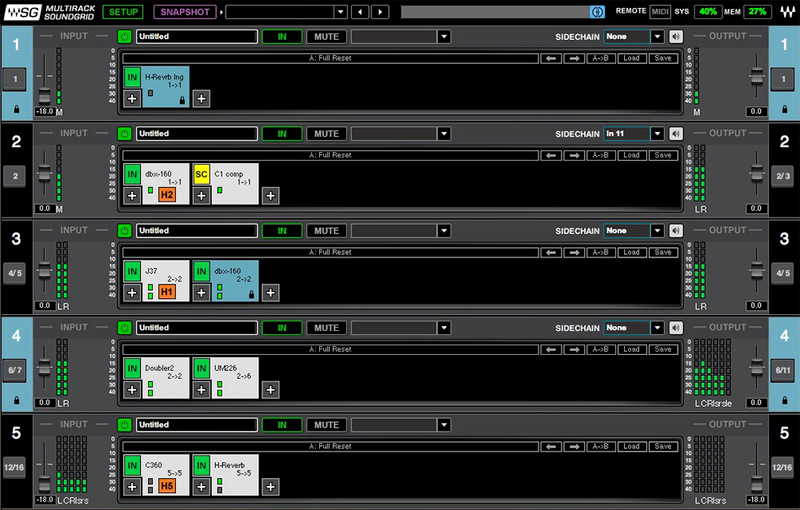 MultiRack SoundGrid supports dedicated SoundGrid interfaces for DiGiCo, Yamaha, A&H, and any MADI-enabled console. 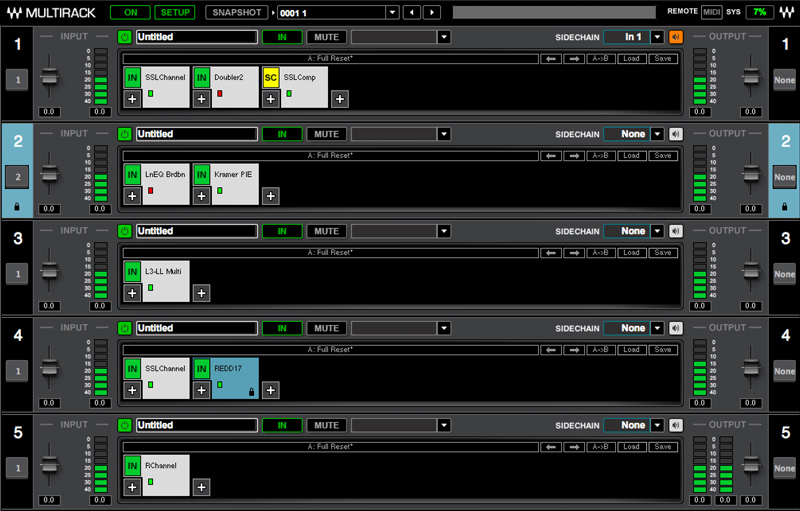 MultiRack SoundGrid Application – The host software required to run Waves SoundGrid plugins. Plugins – Waves MultiRack SoundGrid-compatible plugins for audio processing hosted by MultiRack SoundGrid. SoundGrid Server – The SG server acts as the main “number cruncher” for all plugins used in the application. It is also possible to connect a second “redundant” server working as a backup. Check the list of qualified servers. Network Switch – Check the list of qualified switches. Optional Secondary Computer – The secondary computer may be used for connecting a DAW (Digital Audio Workstation) application to your network for simultaneous recording and/or playback. CAT5E/6 STP – Check the updated list of qualified cables.